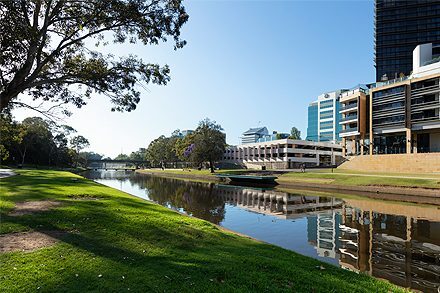 The search is on for world-leading architects to design a Powerhouse Precinct at Parramatta encompassing an iconic new museum, public space and pedestrian bridge, Minister for the Arts Don Harwin announced today. The international design competition is the next major step in the Powerhouse Museum’s move to the banks of the Parramatta River. Focused on excellence and innovation in applied arts and sciences and with 18,000 sqm of exhibition and public spaces, the new museum represents a major investment in Western Sydney by the NSW Government. The new museum will showcase the Museum of Applied Arts and Sciences’ collection, developed over the last 135 years, and accommodate Australia’s largest and most advanced planetarium as well as state-of-the-art galleries to present international exhibitions and museum displays. Minister Harwin encouraged local and international architects to enter the competition. Create NSW is looking for the best designers from across NSW, Australia and internationally to create this new cultural landmark in Parramatta. The competition process has the endorsement of the Australian Institute of Architects and Australian entrepreneur Naomi Milgrom AO will chair our highly-credentialed jury with Lisa Havilah, Wendy Lewin and David Gianotten confirmed as members to date. Designs produced by shortlisted teams will be on public display later this year. Stage One Expressions of Interest are now open and close at 22:00 AEDT Monday 18 March 2019. For more information, guidelines and applications, visit the competition website.